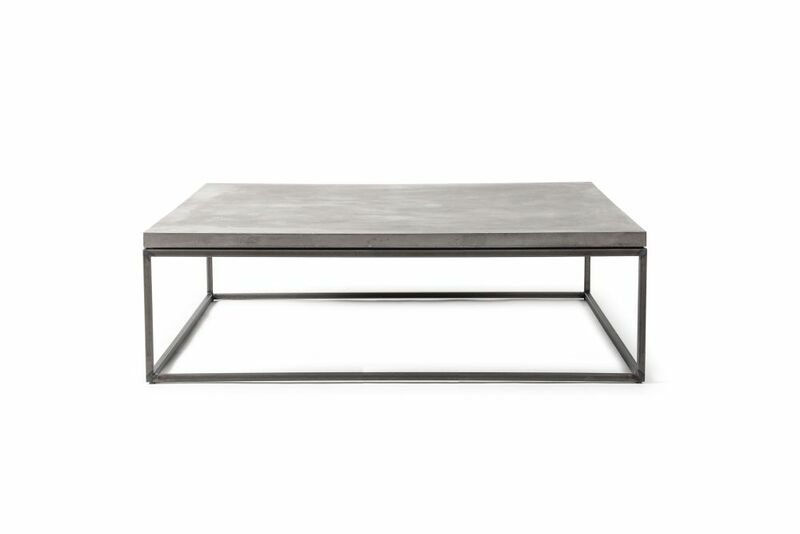 The concrete Perspective L coffee table will enhance your living room with his elegant and modernistic shape, mixing a metal frame with a concrete table top. The concrete and steel collection PERSPECTIVE is a proof that two rough materials can be combined in an elegant artefact, if it's done the right way. It starts when we met ironworkers from Marmande (France). The rare refinement that they put in their work inspired us to design a graceful set of furniture, combining their steel with our concrete. The result is PERSPECTIVE. A collection of furniture designed with the same pattern: a thick concrete plate elevated in the air by a fine and elegant square tubular structure. For the metal base, welds and oxidation stains are deliberately apparent to reinforce the industrial aspect of the design. It is treated with a transparent, velvet touch, epoxy varnish to stabilize this surface appearance. We are a french studio specialised in the design and production of concrete furniture, accessories and arts.